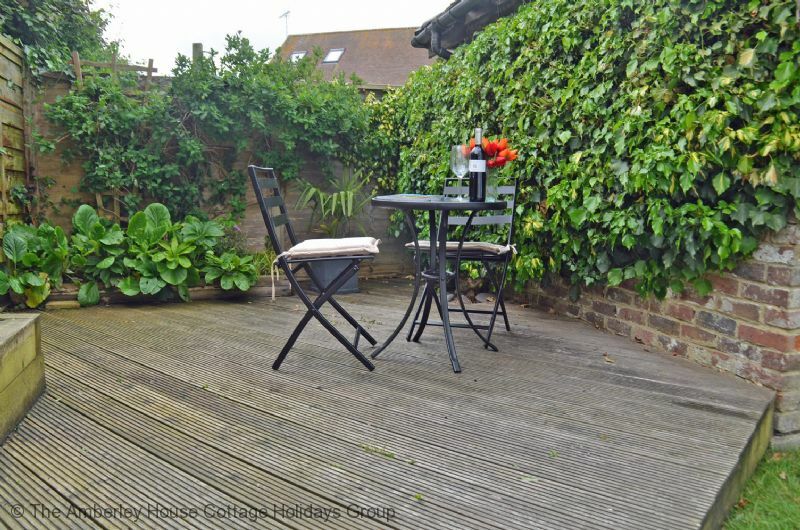 A delightfully unique cottage set in the beautiful city of Chichester. 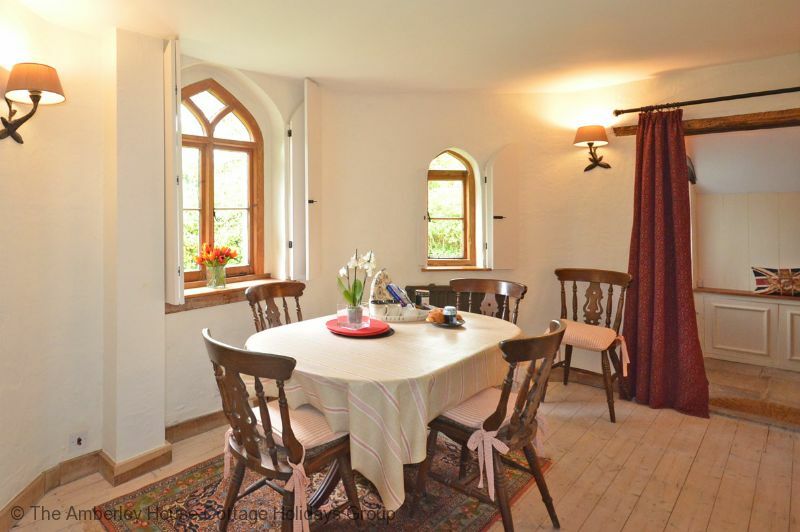 Ideal for holidaymakers looking to enjoy the diversity of both the town and countryside. 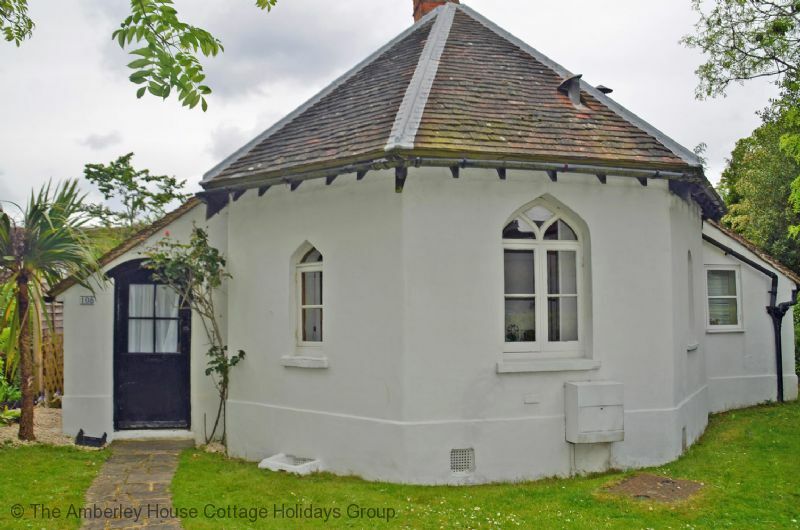 Truffle Cottage is an octagonal cottage with a very interesting history as one of the oldest houses in the area. Once a home for the local truffler who hunted down truffles in the nearby Goodwood forest, it offers a rare holiday experience. 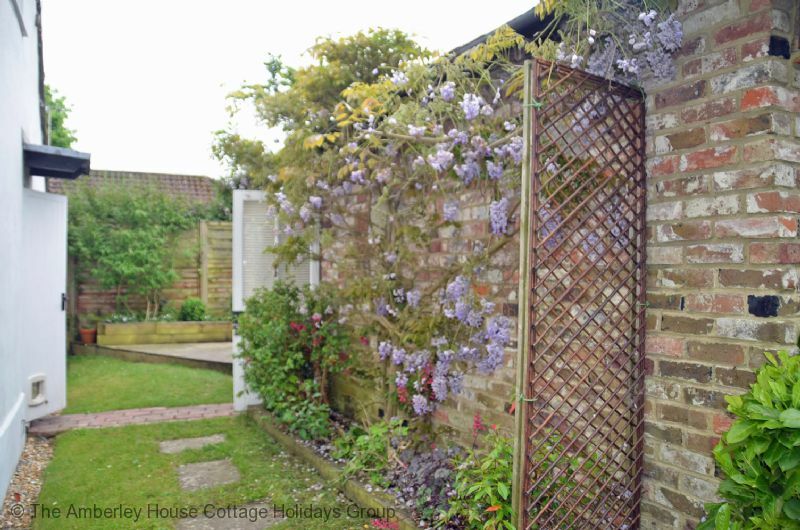 Entering through the rear garden area, you pass the hanging wisteria and find the entrance to the cottage. The lounge area is a wonderfully welcoming space with comfortable seating and a relaxing decor. With a woodburner at the centre, it is perfectly equipped to keep you cosy on chillier evenings. 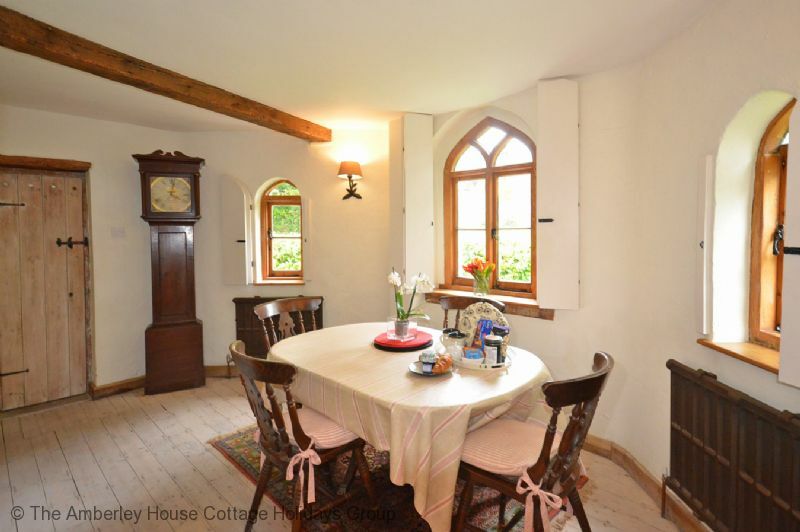 The dining area is through from the lounge and has some lovely gothic style windows overlooking the front garden along with a wonderful grandfather clock as a feature. 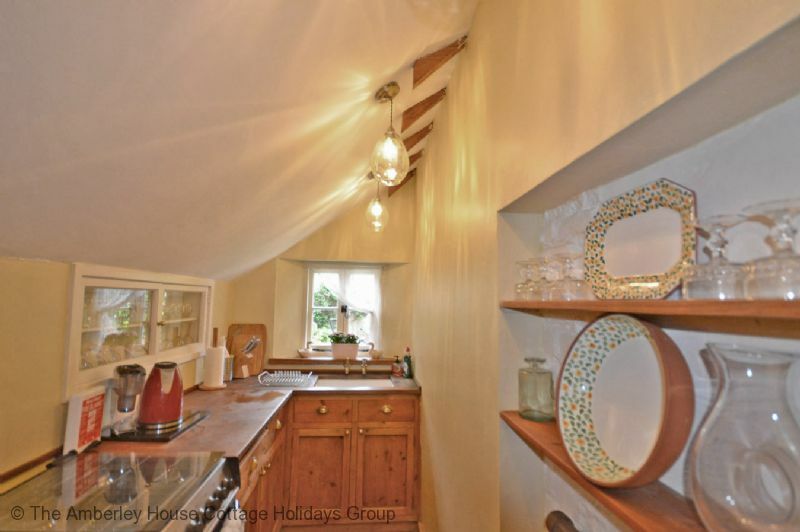 The galley style kitchen is fully equipped for your self catering requirements during your stay and you will also find a further fridge and a freezer in the outbuilding, along with both a washing machine and tumble dryer. 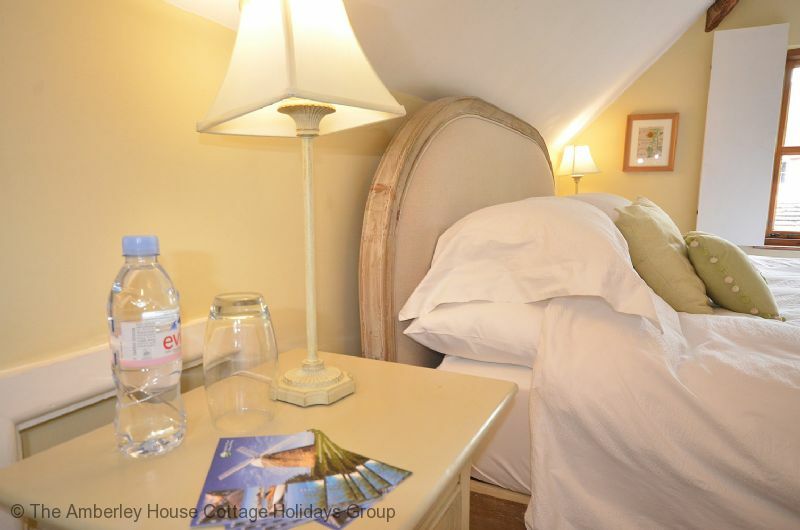 Accessed from the lounge is a ground floor bedroom available for one person furnished with a large single bed. The modern family bathroom is also on this floor with a large walk in shower, WC and basin. You ascend to the principal bedroom via a wooden staircase (please note this is fairly steep and has a narrow tread) and you are enveloped by light and space. 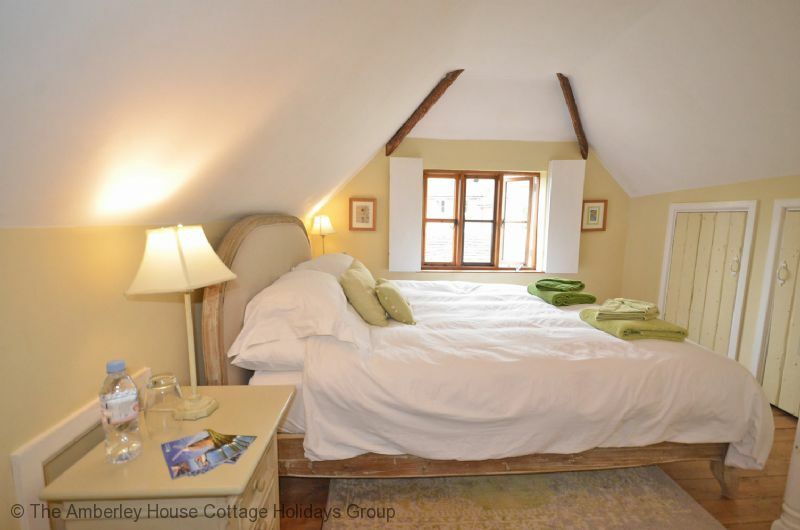 It contains a king sized bed with comfortable linens and a window with an aspect to the rear of the cottage. The additional dressing area is a lovely bonus with fitted wardrobes and a chest of drawers. 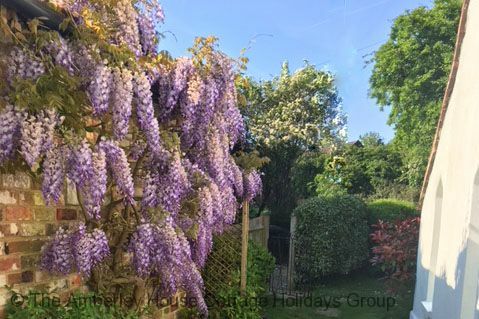 The rear garden has a lovely decked area perfect to enjoy an evening glass of wine or a morning coffee whilst deciding on your days activities and there is a small lawned area to the front of the cottage. There is off street parking available on a small gravelled driveway. 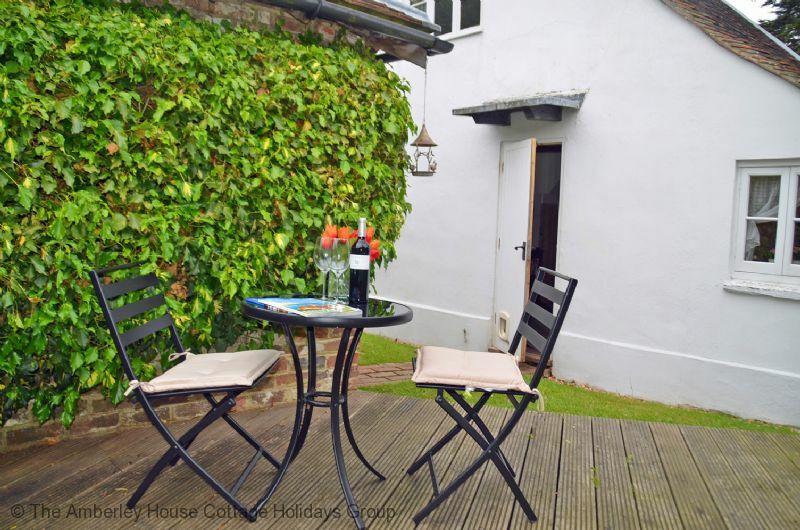 Truffle Cottage is an ideal base to enjoy everything that this area has to offer with its location just ten minutes walk from the centre of Chichester and a short drive to the Sussex coast. Chichester is one of the great, most well-preserved Georgian cities in the UK. The city's broad streets are packed with listed buildings including the impressive cathedral and the Roman city walls. It is a cosmopolitan, vibrant and friendly city proudly combining two thousand years of heritage with a lively lifestyle. 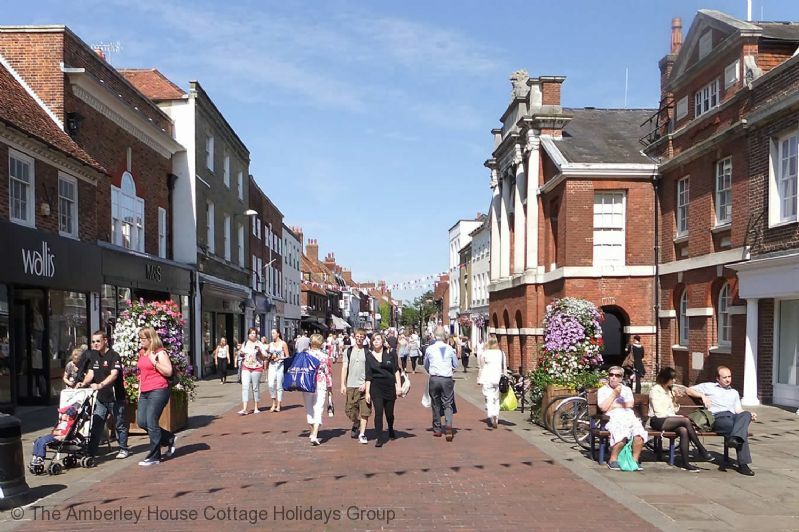 The city centre is neatly enclosed within the ancient city walls which helps to make Chichester compact and pleasant to explore on foot. 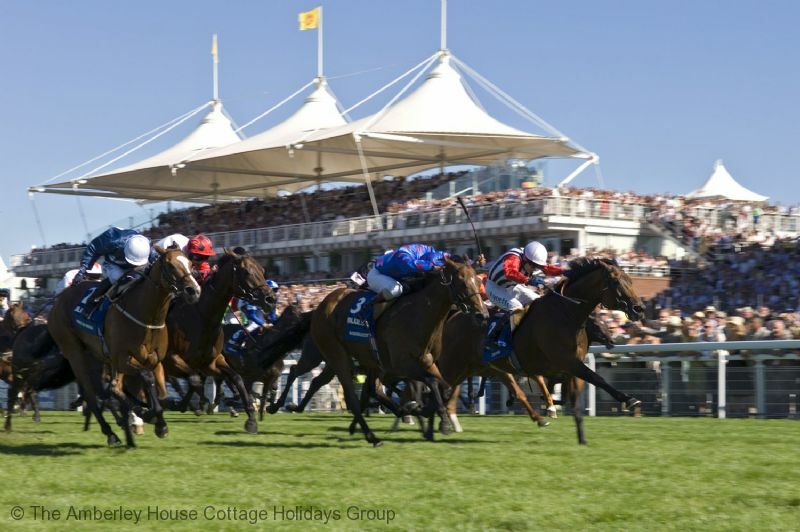 There are many things to do and experience in the city such as the South Downs Planetarium, Chichester Cathedral and the Pallant House Gallery along with diverse shopping areas and a plethora of restaurants and bars. 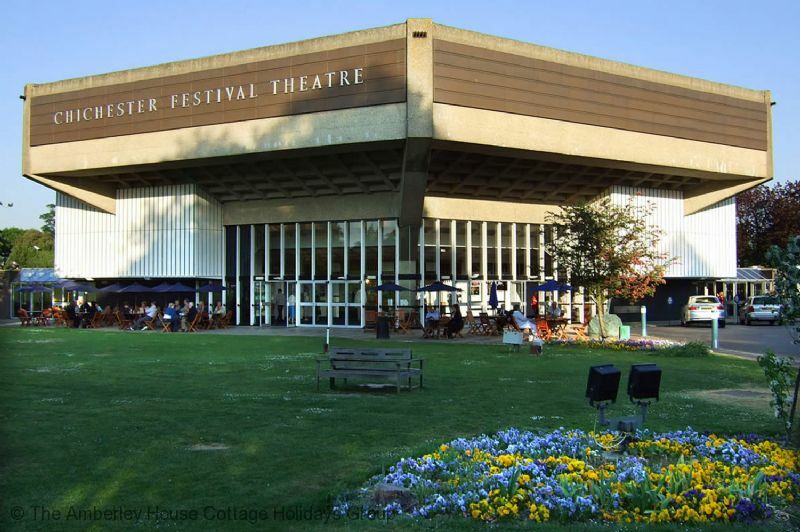 Chichester is also home to the famous Festival Theatre which is renowned for its quality of productions as well as featuring many world premieres. We have a link to the theatre from our website under What's On . 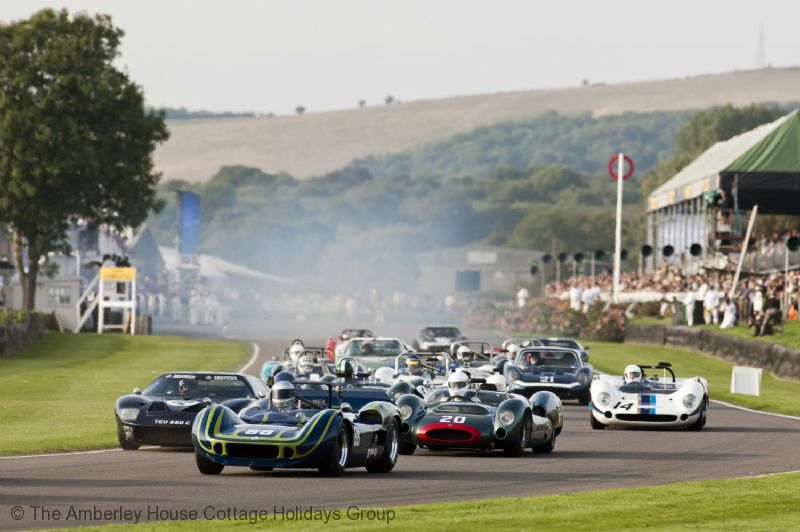 The Goodwood Estate nearby offers an impressive range of activities including golf, horseracing and motor sports with several prestigious events held throughout the year. With the aerodrome just ten minutes from the cottage perhaps you could book yourself in to enjoy a flight over the stunning Sussex countryside in a light aircraft? 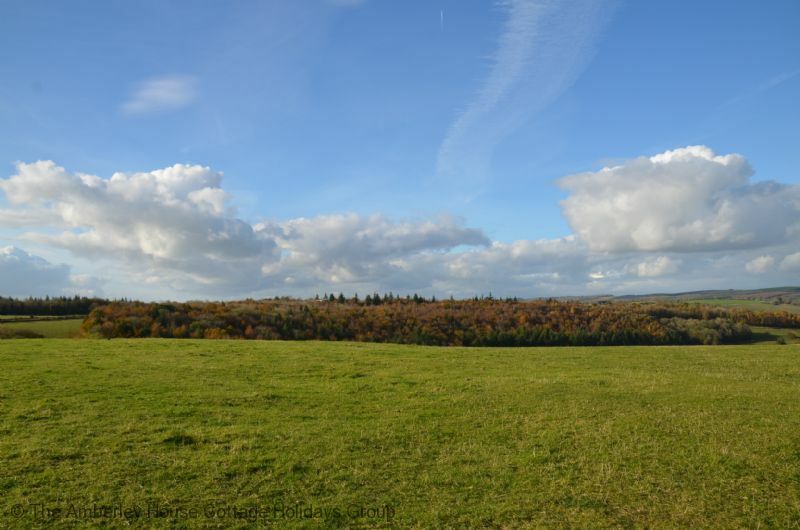 If you are looking for something a little less energetic then take a stroll up to Trundle Hill which offers spectacular views back to the city as well as a great view over Goodwood Racecourse. Head out of the city and a couple of miles to the south is Chichester Harbour. This area, which is made up of a series of tidal creeks, has been deemed an Area of Outstanding Natural Beauty with a vast array of wildlife and flora to enjoy. Watersports activities abound here with sailing, windsurfing and fishing all carried out. There are many quayside villages in this area one of which, Bosham, offers much of interest with a fascinating history connected to both King Canute and the Bayeux Tapestry! 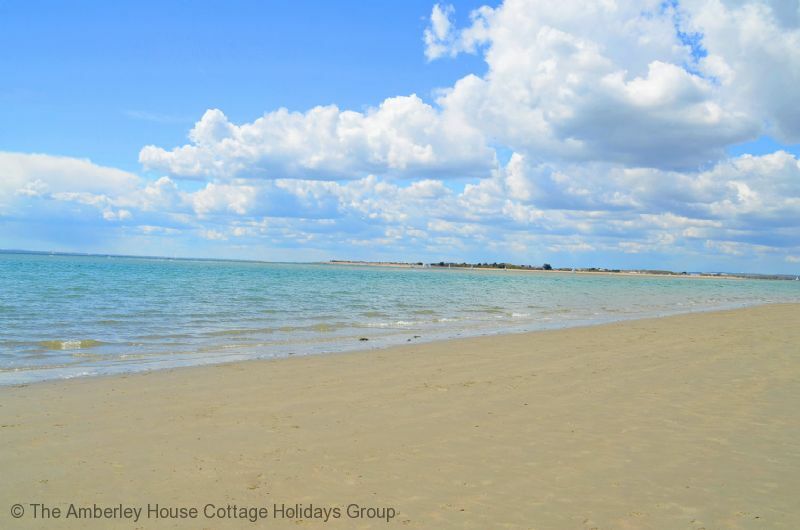 A short drive of twenty minutes and you can be enjoying the wonderful Blue Flag beach at West Wittering with clean, sandy beaches as far as the eye can see and clear views across to Hayling Island and beyond. A lovely day can be spent roaming the sand dunes, crab pools and the National Trust area of East Head. Truffle Cottage - 491949 Truffle Cottage. 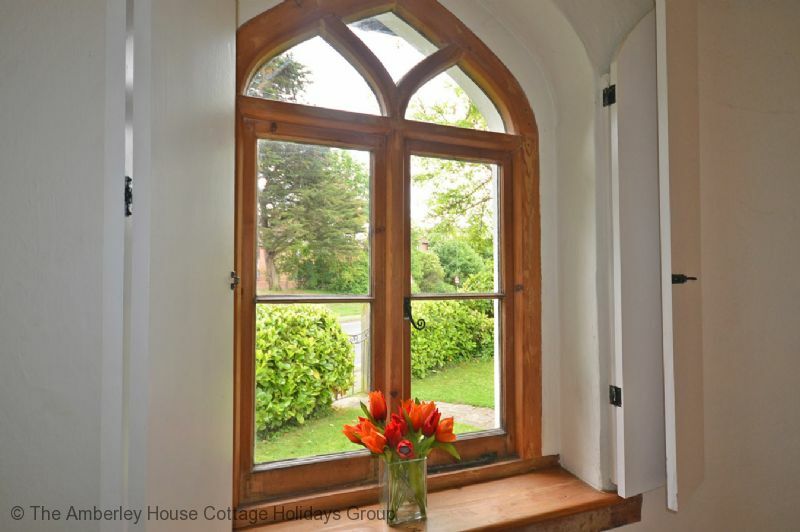 Unique cottage in Chichester with parking and garden, great for walkers & cyclists. 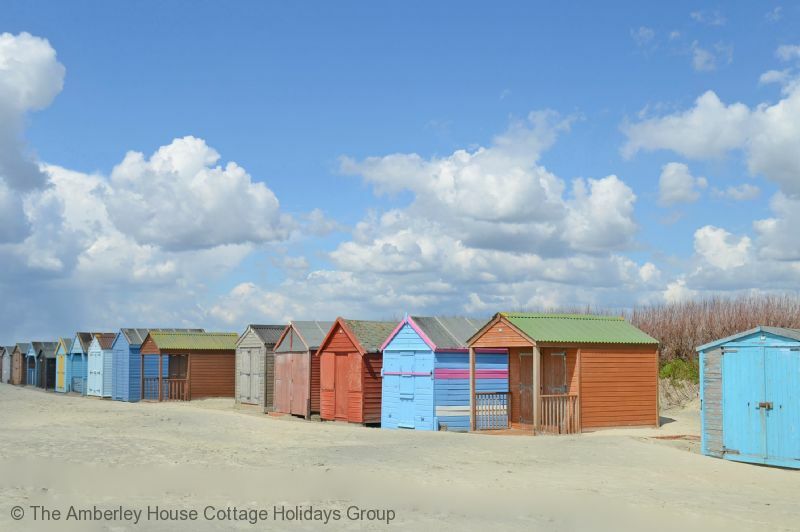 Easy access to Goodwood and beach at West Wittering. 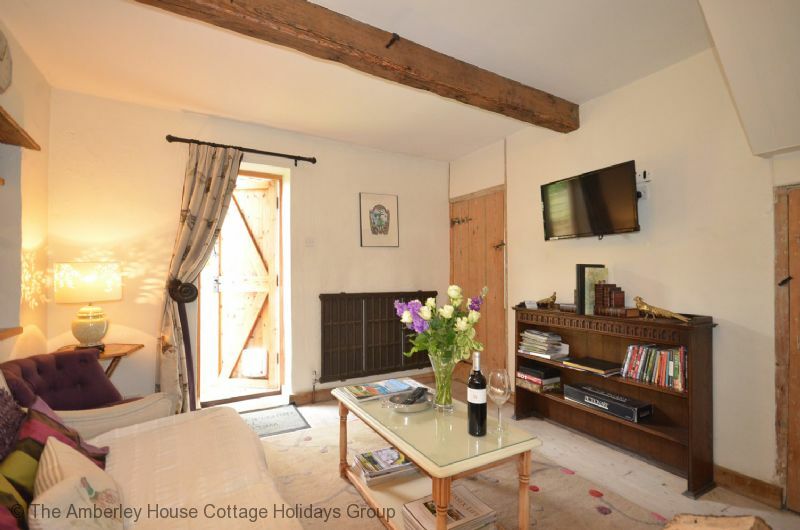 "We have thoroughly enjoyed our week in Truffle Cottage. It is a beautiful house full of very pretty and comfortable furniture (particularly the beds). It is very well equipped with good quality items. The welcome tray with Prosecco was extremely generous as were the extras such as bottled water and toiletries. The fresh flowers were beautiful. Chichester centre is within walking distance- so much to see and do, with good bus and train links to other interesting towns. On evenings when we didn't venture out, we had fun lighting the woodburner-very cosy and romantic. Truffle Cottage is certainly worth a visit. " Great base for visiting Chichester and the South Downs. 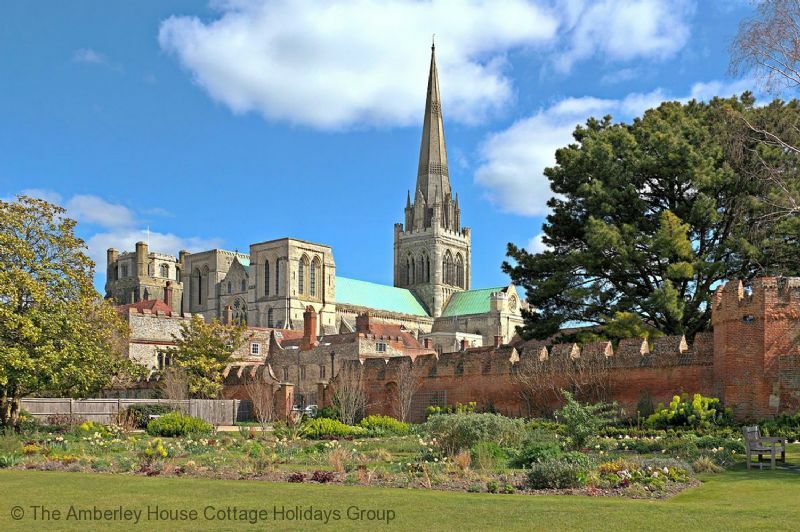 "An excellent place to stay in Chichester. Beautifully equipped and decorated, and very comfortable despite exceptionally hot weather. Found quick routes into all parts of the city centre, and only used the car once as bus and rail routes were so good. 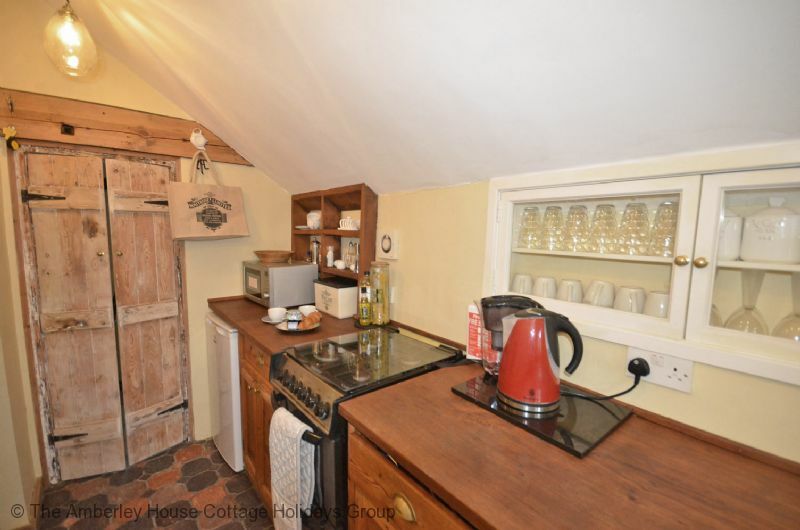 The Although the kitchen is very small, we found the utility area in the garage, with the additional fridge and freezer space invaluable .Would definitely consider a return visit as Chichester has so much to offer. Found it particularly convenient as the bus routes to the South Downs Way we were walking were close by." City, countryside and coast all on the doorstep! "Perfect weather for our 6 days at Truffle Cottage made this the pefect holiday. We'd made a tick list of sites and sights we wanted to see, and saw them all plus lots more. We came down from Cumbria by train, and armed with our OAP bus passes got around very well on the excellent local bus services. Swam in the sea a couple of times, walked long almost deserted beaches, and had a long half day in the superb Kingley Vale National Nature Reserve, only a short bus ride from Truffle Cottage then a mile or so's walk. Even heard a Turtle Dove there, which we haven't seen for years previously. Blissful evenings on the cottage's back patio. All in all a perfect base for a West Sussex holiday. Highly recommended. M and G "
"Marion made us feel very welcome,and we soon settled in.The City was a short walking distance away and we did'nt have to worry about parking the car to often.The facilities at the cottage was good, but I wouldn't recommend the stairs to anyone not steady on their feet.It was a delightful stay and very relaxing." "I choose Truffle Cottage as my base to walk the South Downs Way between South Harting and Upper Beddng using public transport. The friendly owner very kindly drove me from the station to the cottage on my arrival. 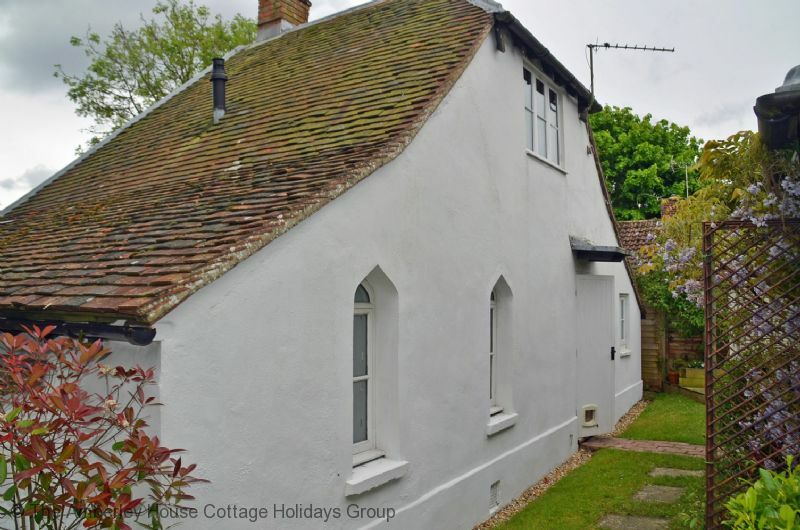 The cottage is about 3/4 of a mile from the station where you could easily catch a train to Arundel ,Brighton, Littlehampton, Bognor Regis, Portsmouth and Southsea. The cottage included every itinerary you could want, I especially liked the easy central heating temperature control to dry out wet clothing and the lovely roomy shower. The stairs to the main bedroom were as quoted steep with narrow steps, care was needed especially when descending and the downstairs bedroom had very little room round the bed. I felt secure and comfortable in the cottage and appreciated the little extra goodies. " 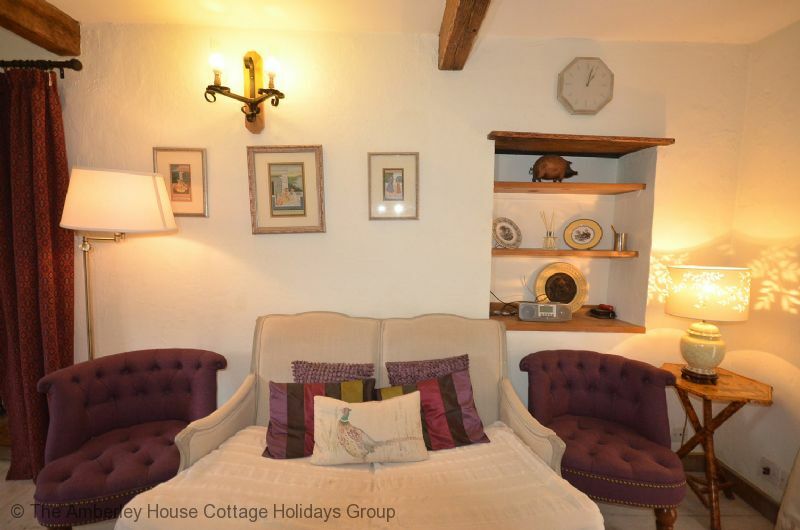 "Loved the cosy atmosphere of the cottage. We were made very welcome by the owner, who explained its features (everything you could want, including a very good welcome pack) and also had suggestions of things to do during our stay. Thanks very much. " 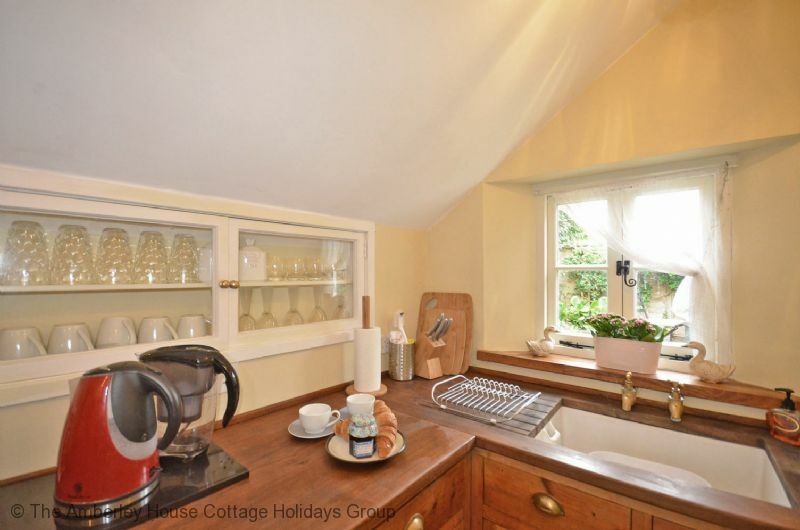 We agree that Truffle Cottage is packed with character and has very unique features! We are so glad that you enjoyed this special cottage. "3 adults enjoyed the location and area very much: more than enough to do and see for a week. 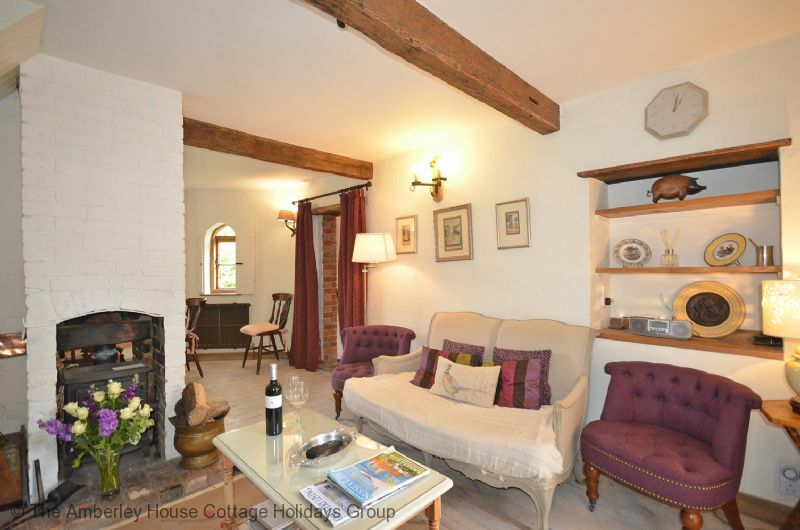 The cottage was delightful and cosy, warm and well equipped. The only difficulty was in negotiating steep stairs with a narrow tread, maybe forewarning would be advisable. Our host was friendly and welcoming and provided an appreciated collection of food and drink and lovely fresh flowers too. Great stay, thank you." 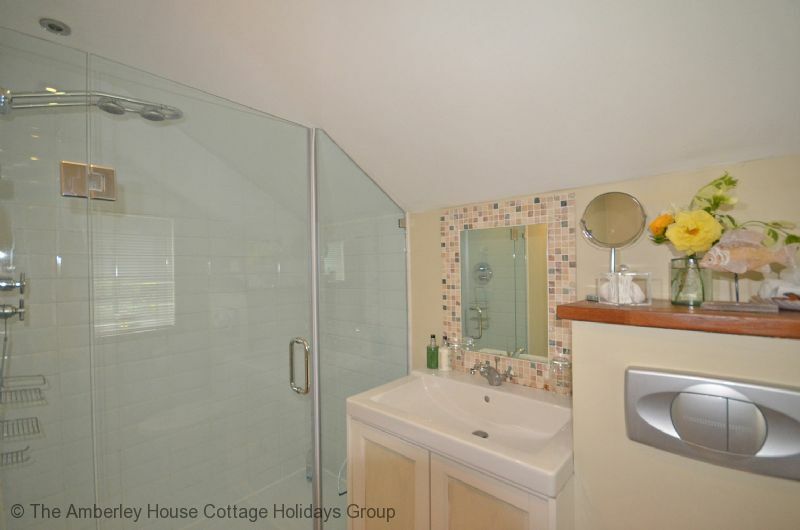 "The cottage is lovely - just what we wanted, quaint and cottagy! It is very well equipped and everything is of high quality. Marian had put up Christmas decorations which were wonderful. We were also left welcome gifts and lots of supplies. 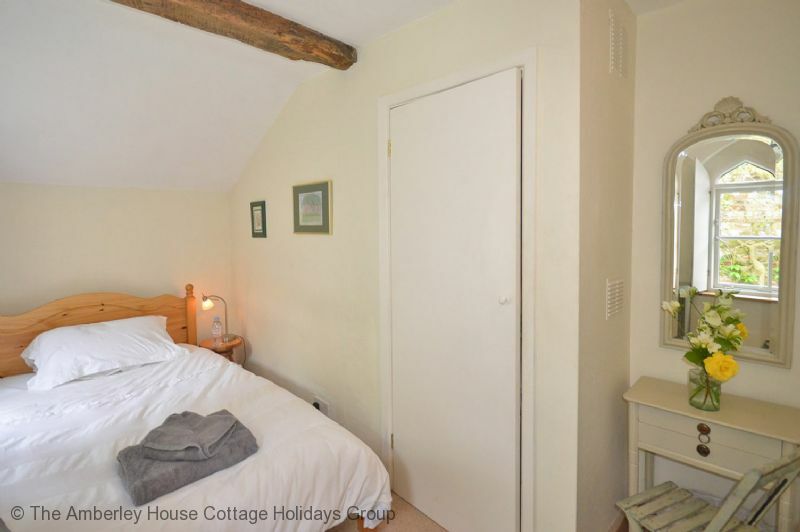 The cottage is very near the town centre and in easy reach of everything. We will definitely be going back if we want somewhere not too far from home. " 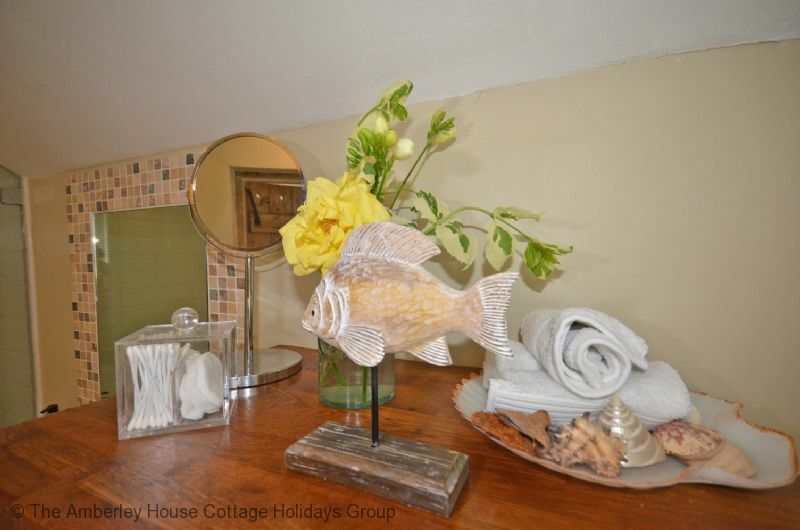 "The cottage was beautifully presented and the welcome tray and extras were great and much appreciated. The owner was very welcoming and we would certainly stay again. The location was ideal to walk into the centre of Chichester." 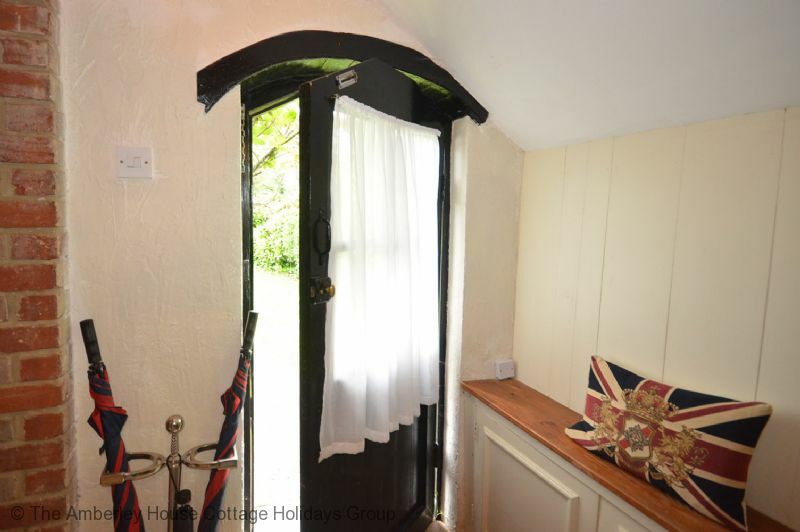 "Truffle cottage is full of history yet has everything you need for a very comfortable holiday. 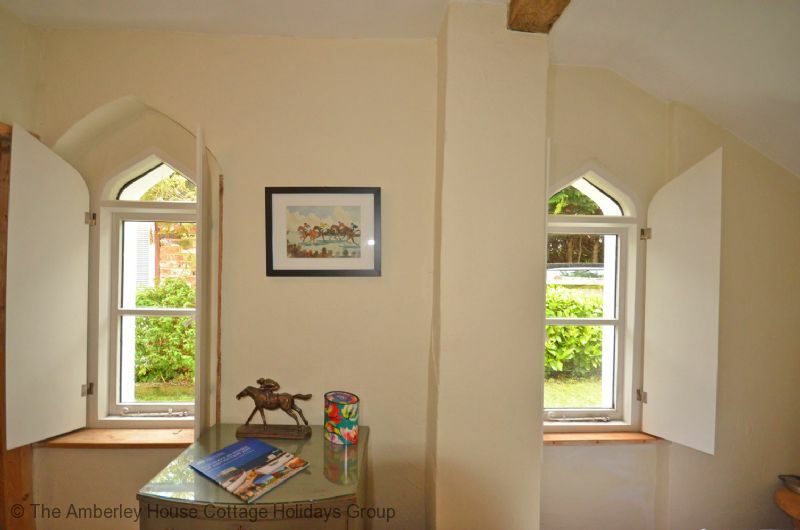 The cottage is well equipped, cosy, picturesque and within a short walk of the centre of Chichester. The surrounding countryside is ideal for enjoying longer walks or cycle rides. The perfect holiday location for anyone not wanting to rely on a car." 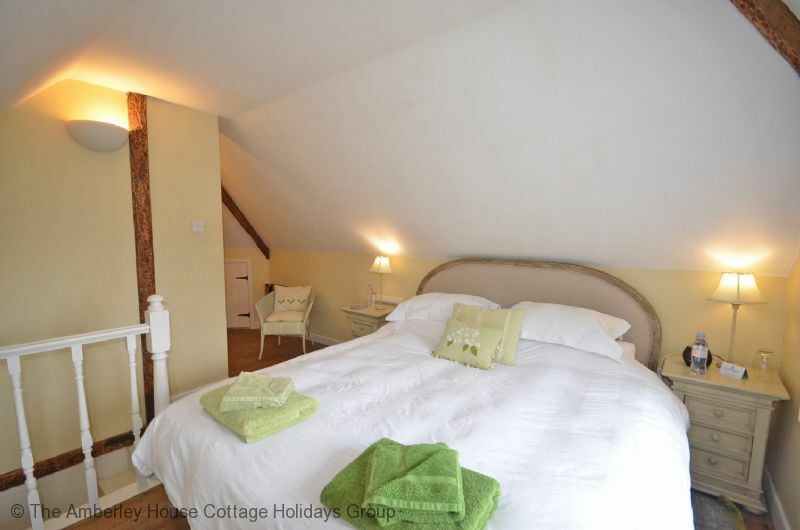 "We as a family really enjoyed our stay at the very characterful and homely Truffle Cottage. On arrival we had a warm and friendly welcome from the owner, the cottage had some wonderful and thoughtful touches and everyone of us would love to return again. It was ideally sitauted for the city of Chichister, within easy reach to all the historical sites." 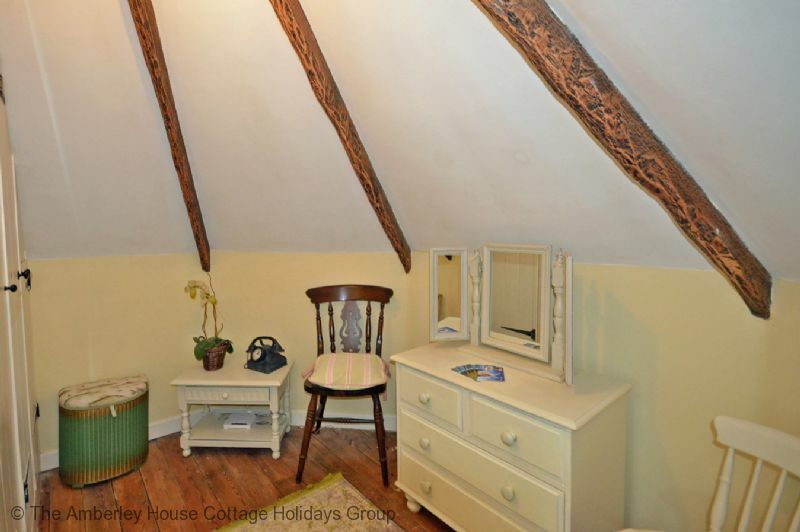 "What better way to experience Chichester for the first time than by staying in this truly unique cottage. The owner has extensive eye for detail with all the furnishings making this a very homely place to stay. This is an ideal base with its own parking and only a 10 minute walk from Chichester. The secluded decking area allows you to enjoy a glass of wine in the sun practically any time of the day. A special mention for the excellent bathroom with walk-in shower and the bedroom with its really snuggly duvet and pillows. We're off to John Lewis! 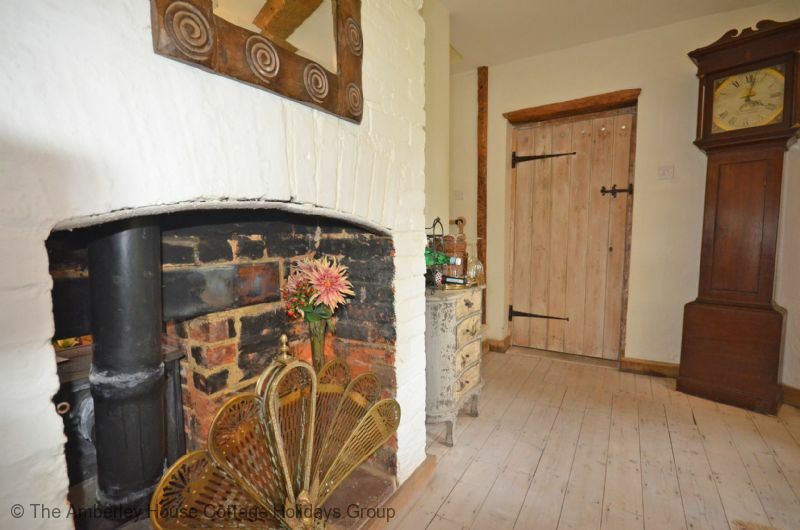 On arrival we met with Marian the owner who was very friendly and informative about the cottage and surrounding area and we look forward to returning at a later date to enjoy more of West Sussex and this beautiful cottage. Well done Marian. Cheers for now. "